Blast Media from London, England rented out our studio space for 3 days in support of their program “Web of Lies” which airs on the Discovery Channel. For this particular episode, they were shooting interviews for a story which took place in St. Clairsville, Ohio. 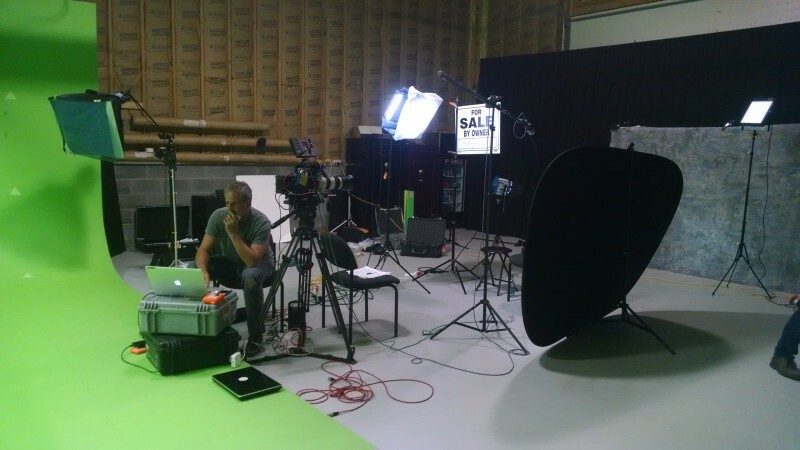 They needed 40x 30 studio space to conduct their interviews. Being unable to find an adequate space directly in the St. Clairsville area, they gave us a call, and we were able to accommodate them. In addition, we were able to supply various grip equipment to lighten the amount of gear they needed to bring in. They also needed to shoot a few firearms related segments, which we are able to provide as well, due to our private location, and on-site shooting range. Yeah, you would be amazed at how often the production studio and the shooting range work together. In the end, they got everything they needed, and a few of our staff may even end up in the final cut of the program. If your production needs a studio space, feel free to give us a call. Blast Media’s director of photography reviewing footage after an interview segment.